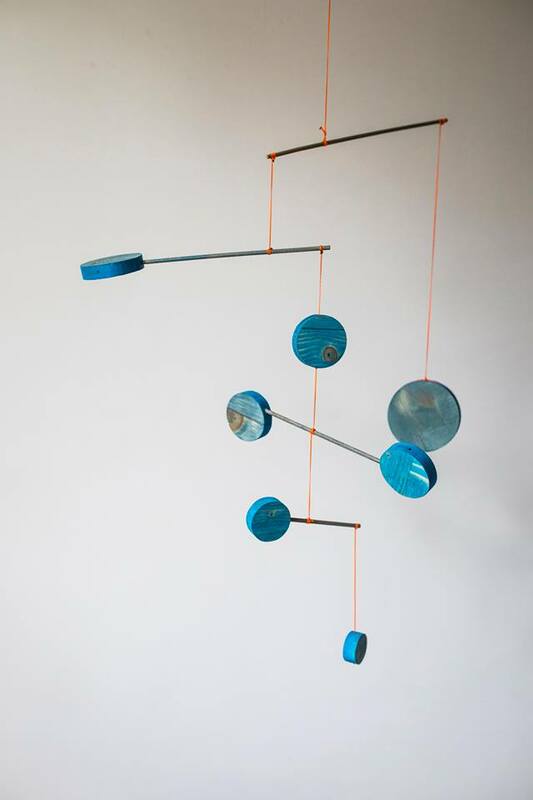 This mobile is inspired by Maria Montessori's theory. 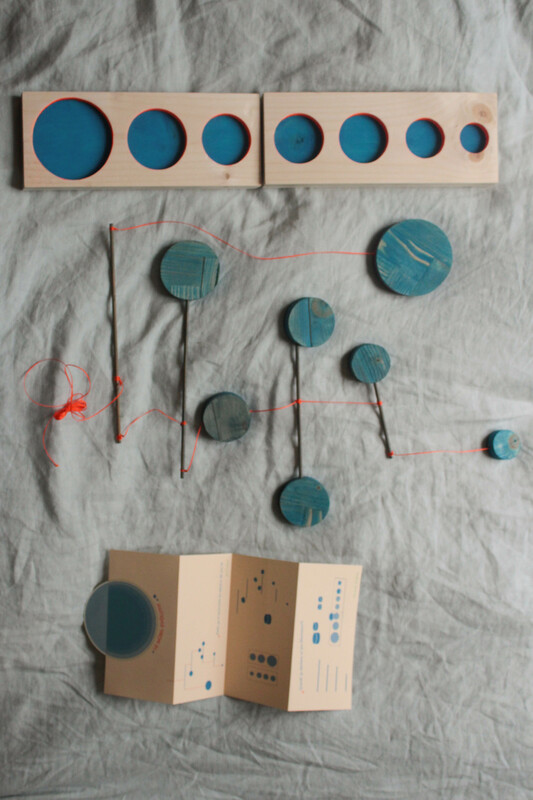 One color, one texture, only the palets size differs, so that the baby can focus his attention. When the child gets older, the mobile can be dismantled into a game. 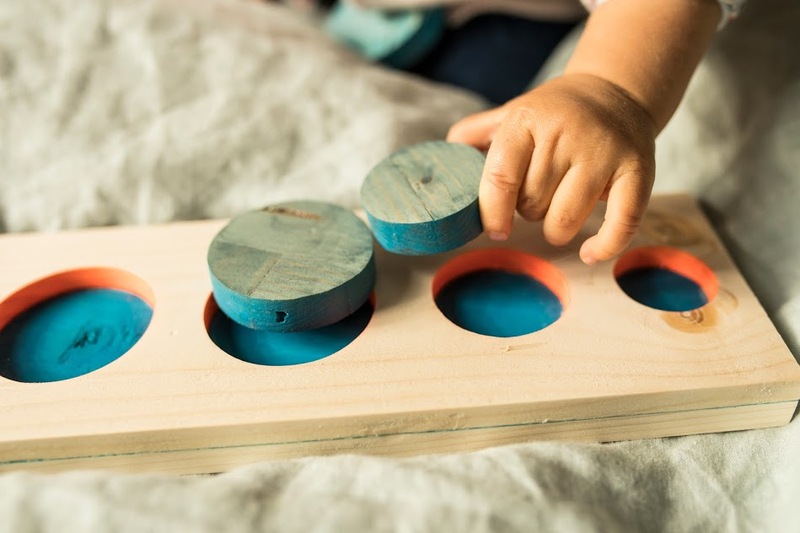 The palets now helps the child develop his dexterity in a playful way. 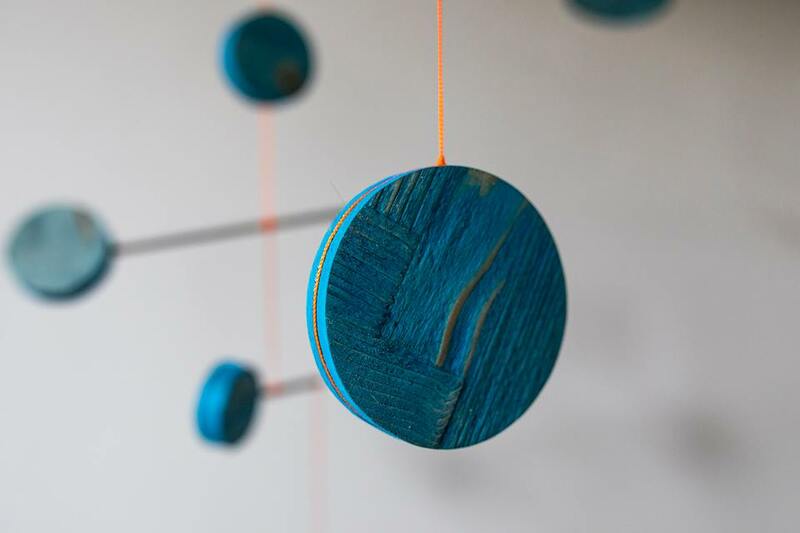 This object is made out of pine wood and painted with "Pure & Paint", an environmental friendly paint.